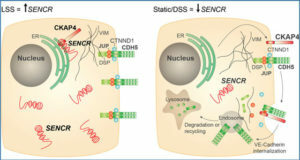 Despite there being over 35,000 different lncRNA sequences described little is known regarding their molecular-pathological role in cutaneous squamous cell carcinoma (cSCC). 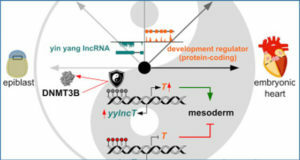 In a pilot study by researchers at Ruhr-University Bochum, lncRNA and mRNA expression profiles were determined in cSCC and control (n = 6) by an Arraystar human lncRNA Microarray. Kyoto Encyclopedia of Genes and Genomes pathway enrichment and gene ontology analysis of mRNAs was performed. 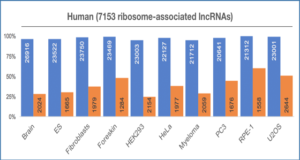 Analysis of differential expression revealed 1516 upregulated lncRNAs and 2586 downregulated lncRNAs in cSCC compared with controls. 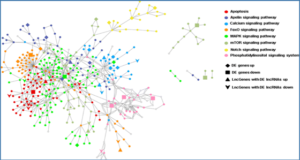 Data analysis identified known oncogenic lncRNAs, such as the HOX transcript antisense RNA HOTAIR, among the differentially expressed lncRNA sequences. 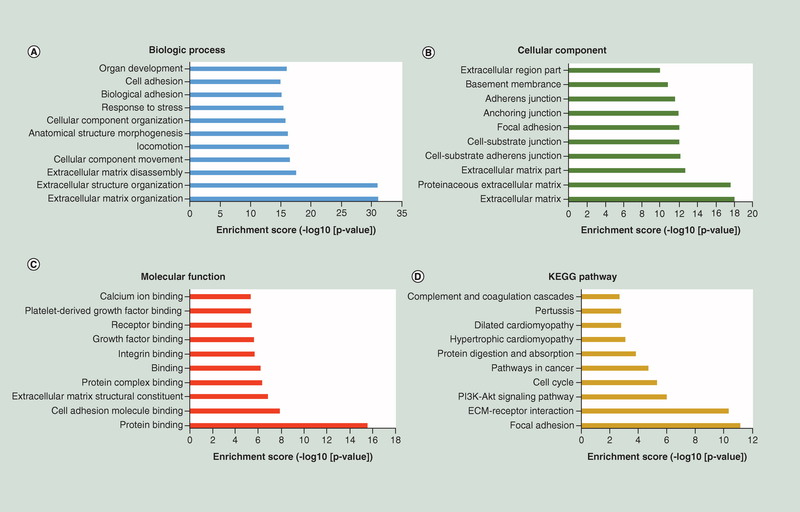 Kyoto Encyclopedia of Genes and Genomes pathway analysis showed that focal adhesion, extracellular matrix and the oncogenic phosphatidylinositol 3′-kinase-Akt signaling pathway had the highest enrichment scores. 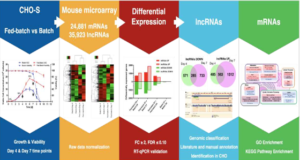 Results of gene ontology (A–C) and KEGG (D) pathway analyses showing functional classification of differentially expressed mRNAs (p-value ≤ 0.05; fold change ≥2.0). The gene ontology categories were (A) biological process, (B) cellular component and (C) molecular function. 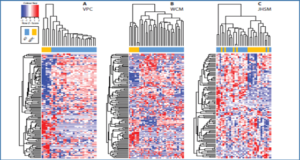 ECM: Extracellular matrix; KEGG: Kyoto Encyclopedia of Genes and Genomes. This study provides the first evidence for differential expression of lncRNA in cSCC and serves as a template for further, larger functional in-depth analyses regarding cSCC molecular lncRNAs.